Some one tell me if I am wrong, I believe there are timing marks on both cam pulleys that need to be facing each other, a mark on the crank pulley & one on the IP that is not so important. You can check them with the timing belt cover off. If all is right with them you need to go deeper. 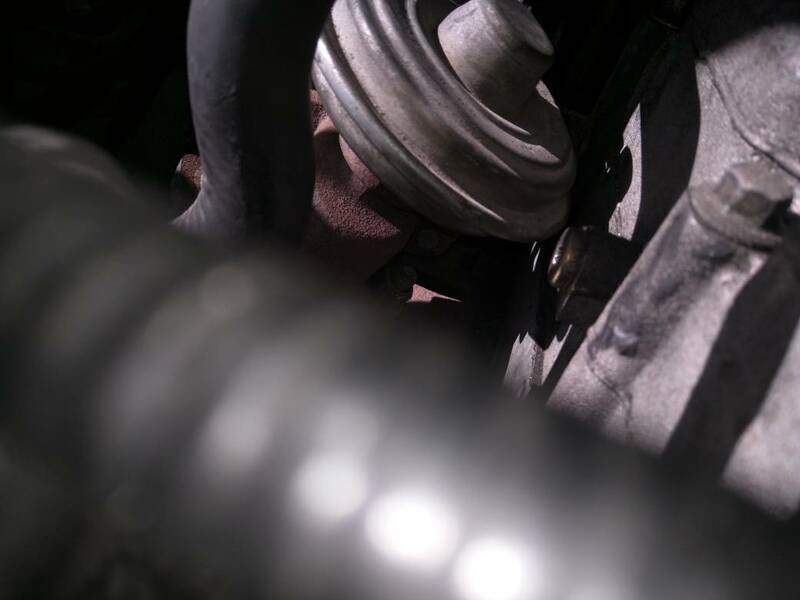 Regardless of what you decide the cover on the timing belt has to come off. Best do this first. Report back once you have it off. I agree....time to take the front cover off and see what is going on! I'll make this disclaimer right at the start. I have only worked on my 2005 Crd Jeep in regard to these engines. I don't know if the pre-variable vane turbo engines are exactly the same in regard to the timing arrangement. OK now on to what I do know. Each cam shaft gear has a timing mark on it. FACT!! They serve no purpose what so ever as there is no key way on the gear to locate them to the camshaft FACT! ( the factory manual actually tells you the timing marks serve no purpose FACT). The gear is held against the front of the cam in any position you care too hence why locking the camshaft in position with the locking tools is required then when torquing down the bolt that holds the cam gear to the front face of the camshaft you have to ensure that the cam gear is held fast usually by using another special tool that locks both gears together so that they don't rotate. All this being done with the crankshaft timing mark pointing to 3 o'clock. Yes there is a timing mark on the crank timing gear though there is nothing to line it up too hence why you use a flywheel locking tool or an allen key in the hole. Basically without the tools and the correct procedure you can't time these by timing marks. 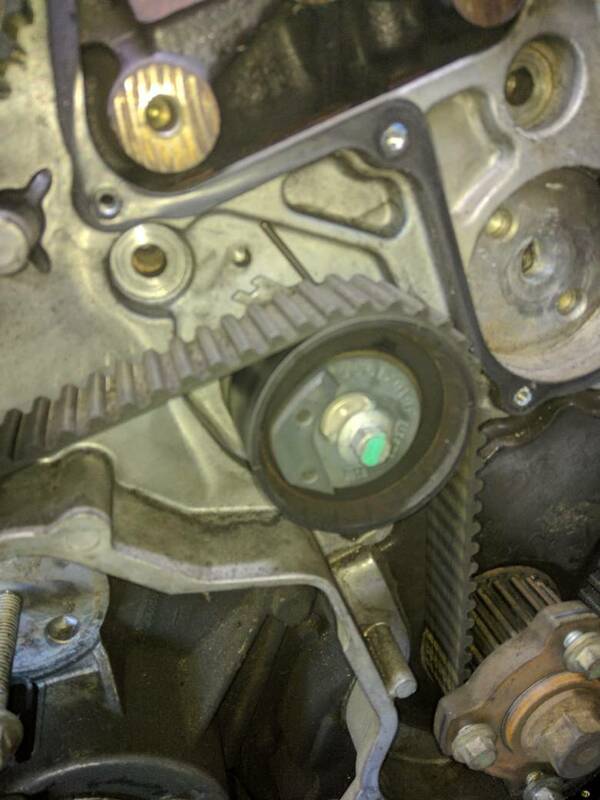 Some guys draw there own marks on the gears and cases but thats because they only replace the belt which does not require you to undo the cam gears from the camshaft. Only doing a water pump requires you to time the gears to the camshafts. I wouldn't even bother with balance shafts the thing would run and rev out but vibrate like mad, it is not the problem. And should never have been touched just to do timing belt. 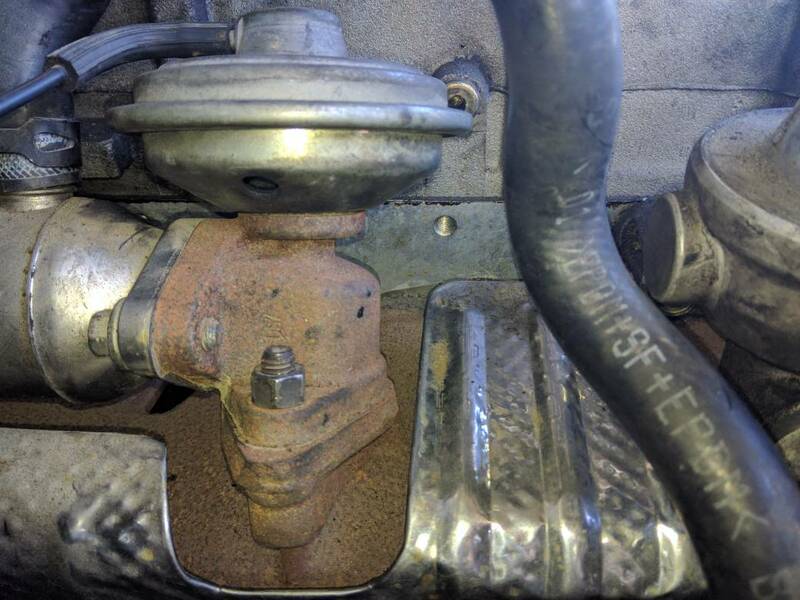 As for valve rockers it's possible from what I have read that you can knock a rocker/lifter assembly out of position if you are not careful when reassembling the valve cover. What a diesel sounds like without a valve opening I don't know I would imagine it would have a fair knock to it overcoming that compression. your going to have to start somewhere and given the way these things are timed up and the huge potential to get it wrong I'd go to the trouble of re timing it. Last edited by jaffazoom; 07-01-2019 at 09:13 PM. Thanks jaffazoom. I agree it's time to rip into it. I will be making videos once it's open to get your opinion but I can definitely concur about the timing marks, that they have no relevance to timing since the manual itself says that. It's a pig of an idea and setup. So here it is with the timing cover off. First thing I noticed was the tensioner pulley alignment notch is off. 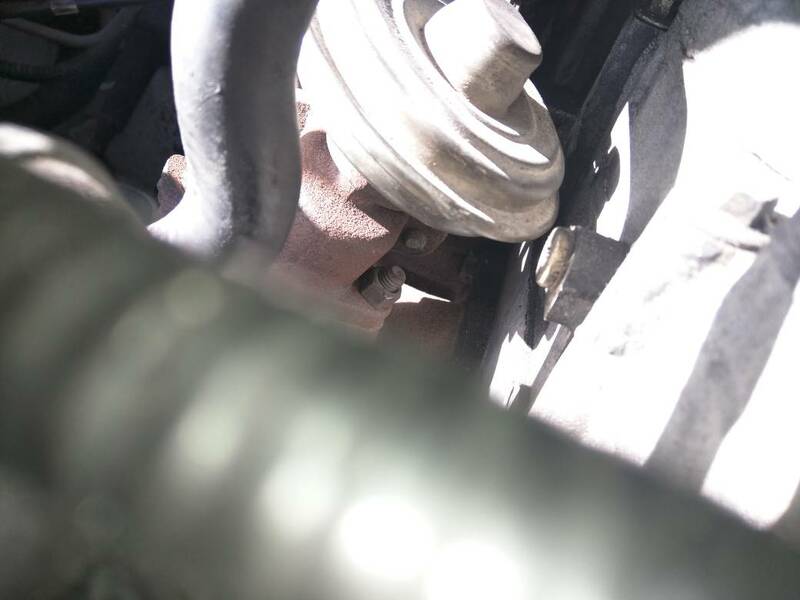 My plan today is to insert the cam alignment pins as well as the can shaft to confirm if timing is off. As suggested here, I turned the cam shaft using a 21mm socket and with the oil cap off I can see where the pin will align from the exhaust side. I'll post again later today once I get that far. 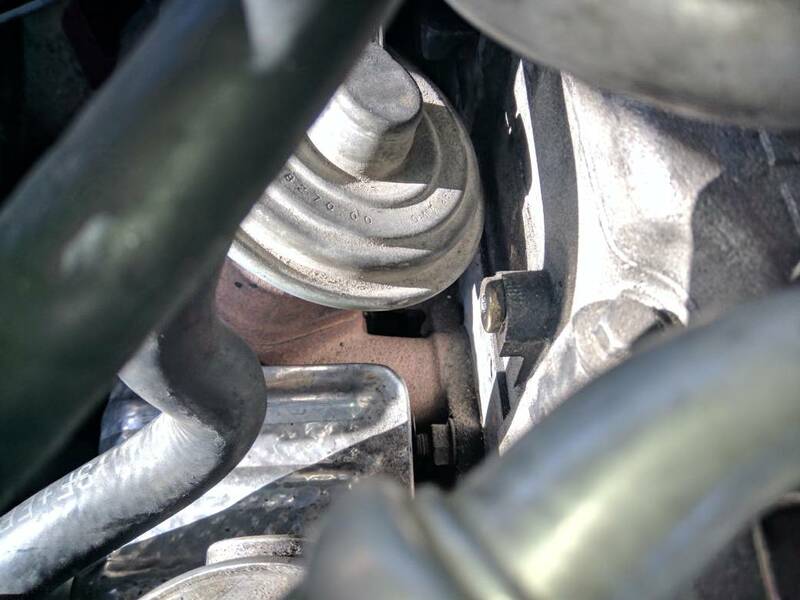 You sure that is the EGR? Looks to me that this is the Dump Valve that our fixed vane Turbos have! I have not worked in this area at all so I may be talking rubbish....have a good look through the manuals again including the 2002 Parts Fiche. 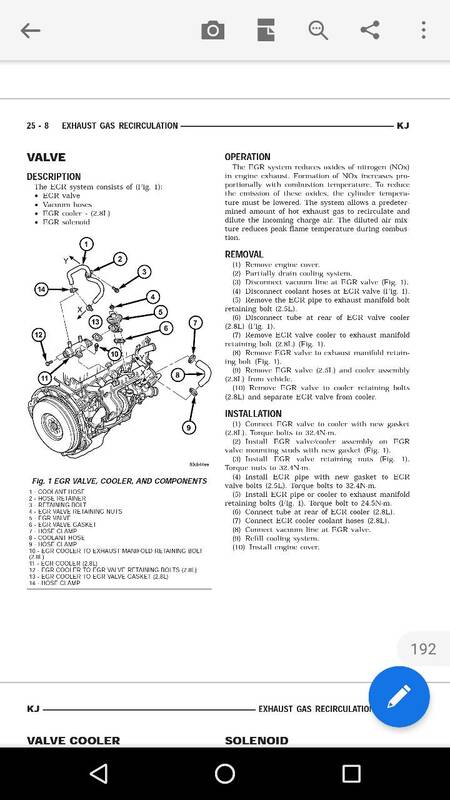 Here's the manual page in referring to.